A thermometer measures the degree of hotness or coldness of a given substance. It operates on the principle of thermal expansion of the material used, e.g., liquids like mercury and alcohol, metallic materials, etc. Mercury is one of the liquids very sensitive to changes of temperature. When the substance to be measured is warm, mercury expands and rises in the capillary tube. When it cools, mercury contracts. In order to measure the temperature range, a set of maximum and minimum thermometers are used. A maximum thermometer has a constriction above the bulb that permits the mercury to rise in the capillary tube but does not allow it to descend the capillary tube unless the thermometer is reset. The highest point that the mercury reaches indicates the maximum temperature for the period. The minimum thermometer, on the other hand, gives the lowest temperature. It uses colored alcohol (because of its low freezing point). It is placed at an angle of about 20° from the horizontal. The black float called index needle is pulled downslope to the lowest temperature of the day by two forces; a) the surface tension at the top of the alcohol column and b) the force of gravity. 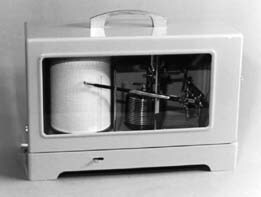 A thermograph is an instrument that records air temperature continuously on graphing paper. It usually consists of a cylinder made to revolve once each week by means of clockworks inside. A sheet of graph paper is fastened on the outside. A pen-point that rests on the paper traces the temperature curve, according to the expansion and contraction of a sensitive metallic coil or strip corresponding to the reading of a thermometer. These instruments are housed in a thermometer shelter which has double-louvered sides and a double-top roofing designed to permit air to circulate freely through the shelter. A mercurial barometer is a simple barometer made by filling a glass tube 32 inches long with mercury and inverting it so that the open end of the tube is below the surface of mercury in a cistern. 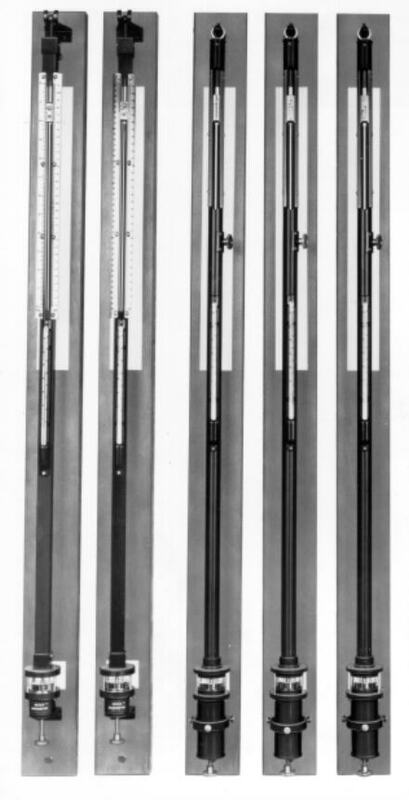 The height of the mercury column is measured by sliding a vernier attached on a scale. To obtain accurate measurements, corrections are made for temperature expansion of the instrument, gravity and latitude. Values are read in millibars, millimeters or inches of mercury. 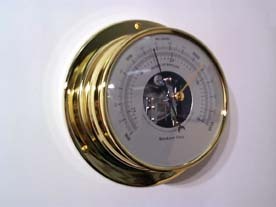 An aneroid barometer is made by removing the air from a thin, circular, metallic box. With practically no air on the inside the box would collapse. A spring is installed to limit the collapse of the box commensurate to the air pressure or weight of the column of air on the box. If one side of the box is fixed, the other side will move due to changes in atmospheric pressure. The surface of the metallic box is corrugated in order for the box to collapse and return uniformly. The movement of the spring causes a pointer to move over a scale of figure corresponding to the readings of a mercury barometer. 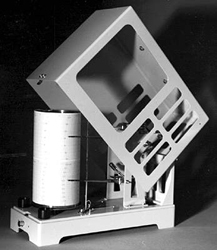 A barograph is a recording barometer. The pen point that traces the pressure curve on the paper is made to move up or down by means of a series of levers attached to aneroid cells (metallic boxes) in tandem. The use of aneroid cells in tandem provide a more pronounced response to changes in atmospheric pressure than would be indicated by a single aneroid cell of the same size. The sling psychrometer consists of a dry and wet-bulb thermometer. The term bulb refers to that portion of the glass tube where the mercury is stored. The dry and wet bulbs are exactly alike in construction. The only difference is that the wet-bulb has a piece of muslin cloth or wick wrapped around its bulb and which is dipped in water shortly before the psychrometer is read. This is how it is done. The weather observer firsts wets the cloth cladding the wet-bulb, whirls the psychrometer a few times, then reads the wet-bulb. He reads the dry-bulb last. Normally, the wet-bulb's reading will be lower than the dry-bulb's. The dry-bulb reading is the air temperature. The difference between the dry and the wet-bulb readings will give, with the aid of a psychrometric table, the dew point temperature and the relative humidity. (Dew point is the temperature at which the water vapor will condense while relative humidity is the ratio of the amount of water vapor actually present in the air to the maximum amount of water vapor the air can hold at a given temperature). 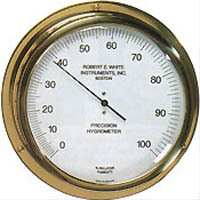 The other instrument used to measure humidity is the Hygrometer. The hygrometer is less accurate than the psychrometer. It uses human hair from which the oil has been removed by using ether. The hair becomes longer as the relative humidity of the air increases. This change can be made to move an indicator needle which moves over a scale, the graduations of which reads from 0% to 100%. The hygrothermograph records both relative humidity and temperature on graph paper in the same manner as the thermograph and barograph do. 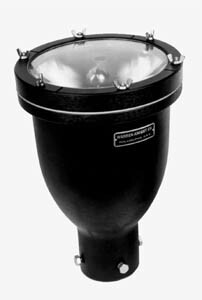 An 8-INCH RAINGAUGE, so called because the inside diameter of the collector is exactly 8 inches above a funnel that conducts rain into a cylindrical measuring tube or receiver. The volume of the collector is 10 times the volume of the measuring tube. Therefore the actual depth of rainfall is increased ten times on being collected in the smaller measuring tube. To measure the amount of rainfall accumulated in the measuring tube, (a) a thin measuring stick with the magnified scale printed on its face is used. The precisely dimensioned (b) measuring tube has a capacity representative of only 2 inches (50.8 millimeters) on flat level ground. Rainfall exceeding this amount spills into the (d) overflow can but can be easily measured by pouring it into the measuring tube for total rainfall. 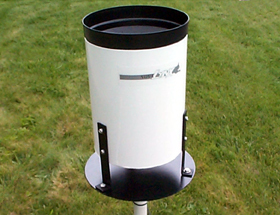 The tipping-bucket raingauge is a type of rainfall recording instrument. 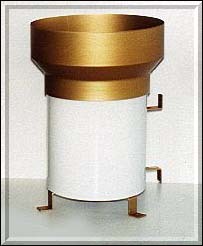 It is an upright cylinder that has funnel-shaped collector. The precipitation collected by the collector empties into one side of a "tipping bucket", an inverted triangular contraption partitioned transversely at its center, and is pivoted about a horizontal axis. Once one compartment is filled with rain, it tips, spilling out the water and placing the other half of the bucket under the funnel. The tipping activates a mercury switch causing an electrical current to move the pen in the recorder. Each tipping is equal to one-half millimeter of rainfall. A ceiling light projector projects vertically a narrow beam of light on to a cloud base. The height of the cloud base is determined by using a clinometer located at a known distance from the projector to measure the elevation angle included by the illuminated spot on the cloud, the observe, and the projector. From trigonometry, the height of the cloud base is equal to the distance of the observer from the ceiling light projector multiplied by the tangent of the elevation angle. Another way of determining the height of the cloud base is by using a ceiling balloon. A ceiling balloon is a meteorological balloon whose rate of ascent has been predetermined. It is filled with gas lighter than air, usually hydrogen, and released. The time of release and the time the balloon disappears into the cloud are recorded. The time difference multiplied by the rate of ascent will give the height of the cloud base..
A Pilot Balloon is a meteorological balloon that is filled with gas lighter than air. When the pilot balloon is used in conjunction with a theodolite it is used to determine the speed and direction of winds at different levels of the atmosphere. 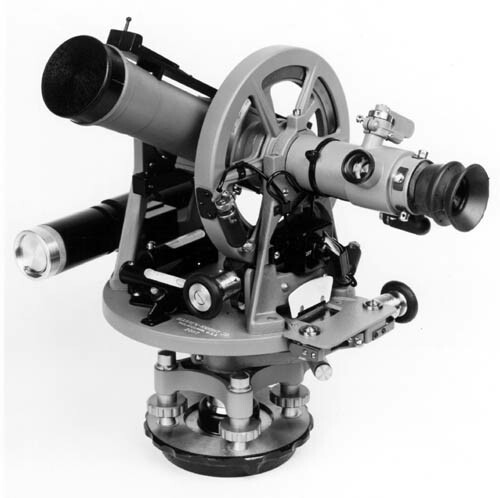 The theodolite is similar to an engineer's transit. It consists of a sighting telescope mounted so that it is free to rotate around a horizontal and a vertical axis and has graduated scales so that the angles of rotation maybe measured while tracking the pilot balloon. The elevation angles and azimuths of the balloon are recorded from the theodolite and these data at the end of the flight which may last for more than an hour are plotted to a plotting board. The wind speed and direction at selected levels are calculated either by trigonometric methods or graphical methods. Night observation is accomplished by attaching a lit paper lantern to the balloon. Radiosonde, an airborne instrument used for measuring pressure, temperature and relative humidity in the upper air is the radiosonde. he instrument is carried aloft by a meteorological balloon inflated with hydrogen. The radiosonde has a built-in high frequency transmitter that transmits data from the radiosonde meter and recorded on the ground by a specially designed radiosonde receiver. 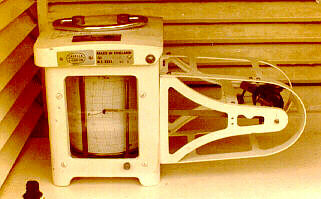 A more sophisticated version of this instrument is the rawindsonde. The rawindsonde is an electronic device used for measuring wind velocity, pressure, temperature and humidity aloft. It is also attached to a balloon and as it rises through the atmosphere, it makes the required measurements. Another special instrument is the Rawin which is short for Radar and Wind. It is an electronic device that measures pressure, temperature and humidity. Another instrument is the Wind Finding Radar. It determines the speed and direction of winds aloft by means of radar echoes. 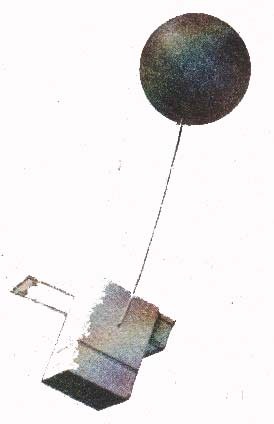 A radar target is attached to a balloon and it is this target that is tracked by ground radar. The bearing and time of interval of the echoes is evaluated by a receiver. A Weather Surveillance Radar is of the long range type which detects and tracks typhoons and cloud masses at distance of 400 kilometers or less. This radar has a rotating antenna disk preferably mounted on top of a building free from any physical obstruction. Radio energy emitted by the transmitter and focused by the antenna shoots outward through the atmosphere in a narrow beam. The cloud mass, whether it is part of a typhoon or not, reflects a small fraction of the energy back to the antenna. This reflected energy is amplified and displayed visually on a radar scope. The distance or slant range of the target from the radar is determined through the elapsed time the signal is transmitted and then received as an echo. Its direction is determined by the direction at which the focused beam is pointing at the instant the echo is received. The radar is a useful tool in tracking and monitoring tropical cyclones.